I was going to share these with y’all last night. Then FredZilla stole the headlines. 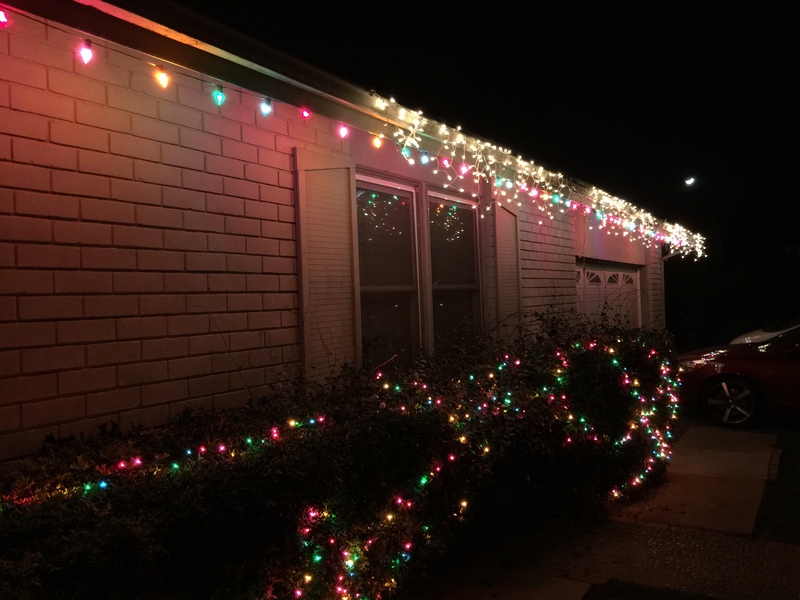 With the invaluable help of the Youngest Daughter, we got a good chunk of the Christmas lights up on the first day of installation. 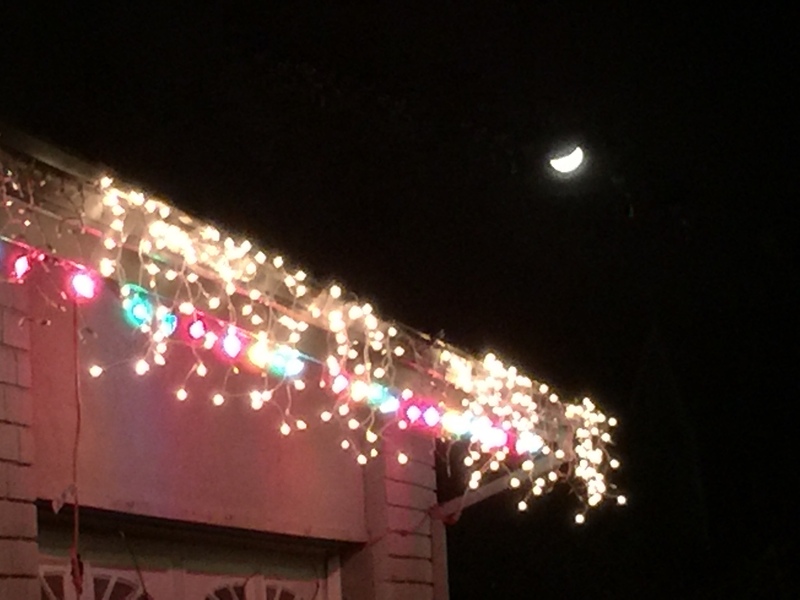 When I went out to check on them later, I found a crescent moon setting just above the edge of the garage. I also discovered that the honkin’ big orange power cord that always was behind the bush now has no bush to be behind! 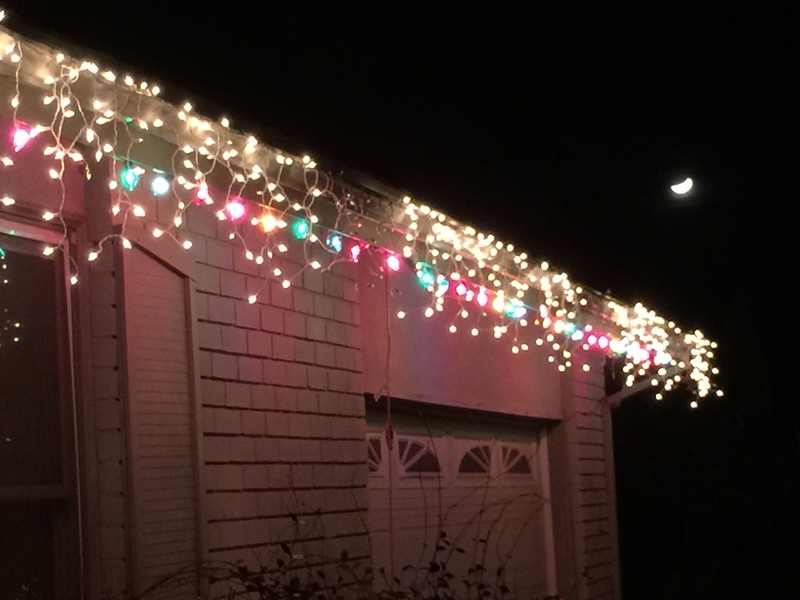 On the basis that the lights don’t outshine the moon, I’m happy with them. Gold star!